Choose the name of the character you want to design ('alien' for example). Click on the squares to 'light up' the appropriate pixels. Press the 'Copy' button to copy the required Arduino code to the clipboard. 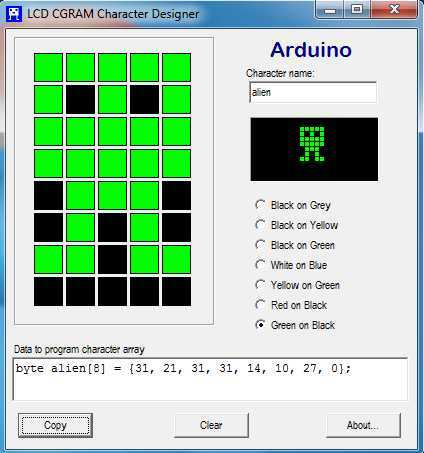 It can then be pasted into your program in the Arduino IDE. Example code for a ByVac Serial (IASI-2) display is shown here.